Patients coming out of surgery, patients who are immobile, patients who cannot tolerate a wheelchair, can all ride in safety and comfort. Our crew will transport you from bed to bed. 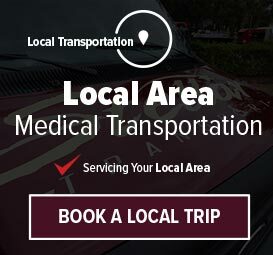 That means from your location, your team will transfer you to our professional stretcher, into the vehicle, and then to the bed at your location. Our crew are professionally trained to do this safely and efficiently, so your family can focus on enjoying your company, and not stressing about your safety. All stretchers come with a minimum of 2 crew members for safety. 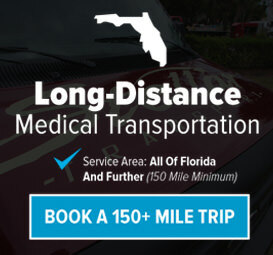 Our transporters are all drug, alcohol and smoke-free, as well as trained in patient sensitivity, safety and security processes and procedures, HIPAA, situation-response and defensive driving. We use Stryker and Ferno brand wheelchairs, stretchers, and other medical transportation products; all the same equipment, and standards, as the Brevard County Fire Department Services.